You may recall that I generally avoid ever having “Sync” turned on in any of my classic tweens (see my post about motion tweens and sync for more details). Sometimes, though Sync was still necessary to keep symbols synchronized with themselves along a timeline with lots of keyframes. It just ended up causing too many problems, though, because I would forget it was turned on and then something would get screwed up somewhere and it would take me a while to figure out what the problem was. My solution was to create some tools that make the syncing process explicit, rather than “turn it on and it’ll remain on indefinitely”. With these tools you can, at any time, tell Flash to synchronize a given symbol instance from this frame forward. It doesn’t do any of the problematic Sync functions, though, like swapping out symbols. All it does is deal with the looping options. One of the huge advantages of my system is that you can work with multiple symbols on the same layer. It’ll only operate on instances of the same symbol. This, of course, goes hand-in-hand with my autotween animation method. Does what I described above: synchronizes looping properties (single frame / play once / loop, first frame) forward from this frame. Note that there isn’t a corresponding command to sync in reverse, since the results wouldn’t be well-defined. What should it do, for instance, if syncing a “play once” symbol backward would take it into the negatives? Makes sure all the instances of this Movie Clip symbol on this layer (either from here forward or from here back, depending on which command you run) have the same instance name. I use these ones all the time. They synchronizes the position of the pivot point. Let’s say, for instance, you created an arm symbol. You put it on the stage, create a few keyframed poses, and then you realize you actually wanted to have the pivot point at the shoulder. All you need to do is set the pivot on the first keyframe, then run “Sync Pivots Forward.” Boom, they all have the same pivot. This is especially useful when dealing with classic tweens, where the symbol will jump at a keyframe if the pivot point changes. These commands all work with contiguous symbol instances. That is, if one of the commands is going forward syncing up symbol instances, if it encounters a frame where there isn’t an instance of that symbol then it will stop. If the symbol appears again on a later frame then you’ll have to run the command again there. You can get the commands from the link below. Simply download and open to install. If you have any questions please let me know in the comments below or send me email. These tools are released under the Creative Commons Attribution-Noncommercial-Sharealike 3.0 license. Not too hard, right? Well, sort of. All those steps can add up if you’re working a lot with graphic symbols, especially when you’re switching between different start frames a lot, such as when doing lip sync or when all your hand poses are inside a single symbol. It’s even worse when you don’t know which exact frame you’re looking for. Then you have to either guess the frame number or go inside the symbol to see where the pose you want is located. Bleh. … and, done. You don’t even have to hit <enter>. Even better, I made it so that if you hold down the <ctrl> key while you type in the frame number, it simultaneously switches the symbol instance to single-frame (a feature I found useful quite often). Even more better, I made it so I can hit the plus and minus keys to increment or decrement the start frame. It’s super convenient for when you’re hunting for what frame your desired pose is on. Even superlative better, I created another command that sets all the selected graphic symbols to start on a random frame. 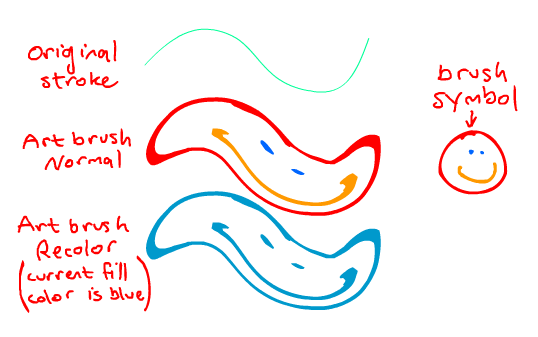 That’s useful when you’re reusing the same animation loop in different places on the stage but you want them to look more random by having them be at different places in their loop. For instance, I’ve done this with falling rain and blowing leaves. But how, you may ask, does it know when you’re done typing frame number, and what if you screw up and need to type a different number? Elementary! My commands have a built-in timeout. They keep looking for additional digits to tack onto the current frame number as long as it’s been less than one second since the last number was pressed. If you let it wait for a second, you can start typing in a new number. For instance, let’s say I select a symbol instance and I type in “43”, but then I realize that I made a type and I actually wanted “34”. All I need to do is wait a little more than a second to run down the timer, then I can type in “34” and everyone’s happy in the end! 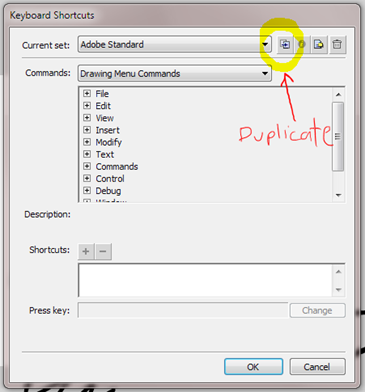 The trick with these commands, though, is that they take an end run around the normal way to define keyboard shortcuts. Normally in Flash, if you want to use a number key as part of a shortcut, you have to include the <ctrl> key. The thing I noticed, though, is that the actual keyboard shortcut file doesn’t have that same limitation. The limitation is entirely imposed in the keyboard shortcuts dialog. A little bit of hacking later and I figured out the shortcut file format. With a little ingenuity I was able to rig it all up as I described above. If you want to have this setup too then you’ll need to manually edit your keyboard shortcut file as well. Set your preferences while the default shortcuts are activated, then switch back to your custom shortcuts. If you need to enter a number in the Preferences dialog, just type it in another program and then copy and paste. Assign shortcuts only to one set of number keys – either the ones above the letter keys on the keyboard, or the numeric keypad. For years I’ve used these shortcuts without noticing the Preferences dialog problem – I suppose because it’s rare that I need to change numerical preferences for Flash. I think I’ve realized, though, that I only ever use these shortcuts on the numeric keypad, so my preferred solution is to only assign to those keys. Select a name for your custom shortcuts. Mine are simply called “David’s Flash CS4”. Hit OK and then exit Flash. If you’d like to use both sets of number keys, simply insert both blocks of shortcut code into your shortcuts file before the last line. Finally, save your shortcuts file and restart Flash. Your new shortcuts should be ready to go. Sometimes you need to do something but it just isn’t available in the program you’re using. It used to be that in this situation I’d just sigh and do it manually, wishing under my breath that the programmers had included a few more features. Then along came scripting languages. At some point during my first Flash animation job I discovered the wonderfulness of JSFL commands. They let you do lots of cool stuff. It’s just a matter of deciding whether the time it takes to script the solution is, in the long run, a time saver or a waste of effort. I’ll admit that I’ve created a few Flash commands that were really overkill, and that I may never break even on time spent making the tool versus how long it takes to just do the thing manually. My boss from that first job contacted me yesterday and asked if I could make a tool for him. He had one that had worked fine in his previous install but he recently upgraded to Flash CS4. He had been the longest holdout I know on Flash MX 2004, a version that came out in (you guessed it) 2004, and still has certain things going for it. Anyway, it turned out I was able to help him get his old tool working in CS4, so I didn’t actually need to write a new one. By the time I discovered this, though, I had already finished writing about 3/4 of a new version of the tool, so I ended up just finishing it for myself. It fills in a gap in my toolset, anyway, so it’s a good thing to have. I’m going to introduce that tool today, along with several others that are kind of in the same category. They are distribution tools. They all take symbols or frames or layers and distribute them to separate frames or separate layers. Flash actually has a built-in one of these: “distribute to layers”. That one simply takes all the selected elements and puts each one on a new, otherwise empty layer. It’s useful if you’ve created a bunch of symbols on one layer but need them on separate layers in order to animate. There are several of these, so I’m just going to present them in list form. Takes the selected frames and puts each one on its own new layer. This is the command I semi-unnecessarily created yesterday. Like the built-in “distribute to layers” function, except this time it will try to distribute the symbols to layers that already exist, and keep them in the same frame range. It will only create new layers if there aren’t enough already for the distribution. This command is useful if you’ve done some animation on a single layer but then realize you need the symbols on separate layers. You can go through and apply this command to each frame and it’ll distribute all the symbols onto the same set of layers. Takes all the selected symbols and puts each one in a keyframe by itself, all in the same layer. Sometimes it’s easier to create your animation keys all on the same frame, and this lets you splay them out across frames once you’re done. Just like the built-in command, except that instead of creating a keyframe on frame 1 of the new layers, it creates a keyframe on the same frame as where the distributed elements are coming from. Thus the stage still looks the same in that range of frames, it’s just that now those symbols are each on their own layer. I find this one to be an improvement over the built-in “distribute to layers”, since I almost always want the distributed elements to maintain their original position in time. Since these tools are all related I’ve packaged them as a single download. Enjoy! It can be frustrating moving around in Flash. Whenever you move to a new keyframe you almost always lose the selection you had previously. I’ve made some commands to help avoid this problem. These are designed to be drop-in replacements for the built-in Flash operations normally bound to the “>” and “<” keys. In normal operation, those keys move the current frame marker forward or backward one frame. They’re useful when you want to slowly go through your animation, or when you don’t want to have to go to the mouse to move to the next or previous frame. The difference with my versions, though, is that now your selection will remain selected in the new frame. That is, whatever symbols you had selected in the previous frame will also be selected in the new frame. It’s fantastic for when you want to go through an animation one frame at a time and adjust the same element(s) on each frame. These commands move back or forward one frame, keeping the same selection. If you had a symbol selected in the old frame and it exists in the new one, it’ll be selected there too. I have these bound to the hotkeys mentioned above – “<” and “>” respectively. These commands will move the current frame to be either at the beginning or the end of the timeline. They work best in Flash CS4 or earlier. In CS5 Adobe changed something about how Flash updates the display after running a JSFL command. Now you can’t see what the screen looks like as-you-go – you have to stop and wait for it to update. This means you can’t, for instance, just hold down the “>” key and see the animation go by slowly. The reduced functionality of these tools is actually one of the main reasons I haven’t upgraded to CS5. If a symbol doesn’t exist on the frame you move to, obviously it can’t be selected. If you have more than one instance of the same symbol on the same layer then the tool can only track one of them. There are some details behind this that I don’t really have the energy to go into here, but on the new frame probably only one of your two symbol instances will be selected. For this reason I often end up duplicating symbols so that I can have more than one of them on the same layer and still have the frame navigation tools work properly (as well as autotween, which runs into a similar problem). Usually, the tools that Flash provides natively are sufficient for dealing with transforms (the details of a symbol’s position, rotation, skew, and scale). Sometimes, though, you need a little more. I’m going to introduce two tools today that provide more flexibility in resetting symbols back to their default transform. When you hit ctrl-shift-Z in Flash it’ll reset the transform of all the selected symbols back to their default state. That means 100% scale, with no rotation or skew. 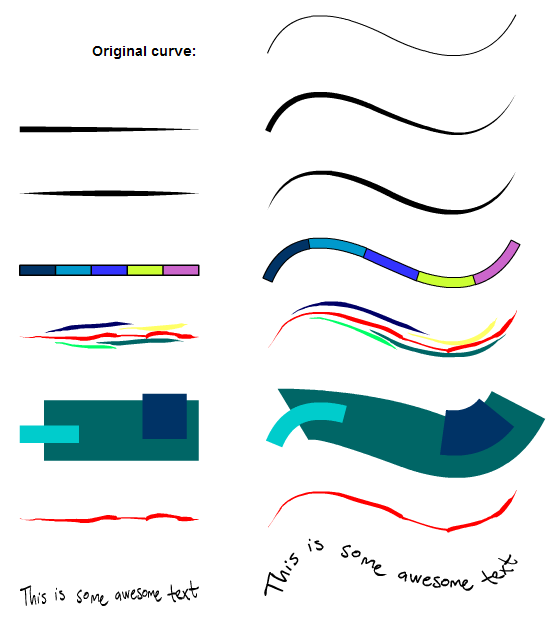 But what if you want the default scale/rotation/skew to be something different? Wouldn’t it be nice if you could define an arbitrary transform that you wanted ctrl-shift-Z to reset a symbol back to? As you may have guessed, I’ve created just such a thing. It includes two Flash commands. The first creates a reference symbol that has your definitions of your symbols’ default state. All you have to do is put all your symbols on the stage in the position you’d like them to be in by default and call Commands->Create symbol scale reference. That creates a symbol in your library called _symbol_scale_reference in which all your symbols you had selected now reside, defining their default transform. The is the command that does the resetting. It simply takes the selected symbols and changes their transforms to match whatever is in _symbol_scale_reference. If the reference symbol doesn’t exist then the command’s operation is identical to the standard Reset Transform command. I recommend switching your ctrl-shift-Z keyboard shortcut over to this command, since it’s functionally the same as the original Reset Transform but with the added functionality if you want it. But that’s not all! I have another even cooler extension for you today! One of the functions that I sorely missed for years in Flash was Zero Transform. That’s a function that takes the current state of a symbol instance and makes it the zero point in the transform. That is, after zeroing a transform, your selected symbol won’t have changed in appearance but its transform will now be 100% scale with 0 rotation and skew. Any 3d animation program worth its salt has this functionality, so why doesn’t Flash? It took some doing, but I managed to write a Zero Transform command for Flash. I use it all the time, and I think you may find it useful too. Included are two commands: Zero transform as is and Zero transform at scale. The first is exactly as I described above, and the one I find most useful. The second does something very similar, except that instead of resetting the transform so that it ends up at 100% scale, it does it so that it ends up an arbitrary X and Y scales that you specify. I use Zero transform as is enough that I have it bound to an easy-to-remember keyboard shortcut: ctrl-alt-Z. I think of it as a more authoritative version of ctrl-shift-Z.